PageLines Material is a nice , clean , beautifull, Responsive and modern design free WordPress Theme. 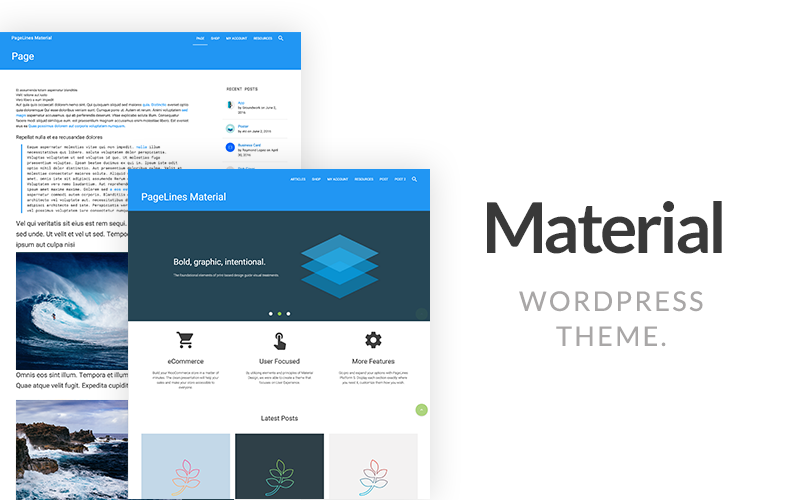 This theme made with Materialize CSS v0.97.6. You can use it for your corporate , personal , blog sites etc. PageLines Material is a nice , clean , beautifull, Responsive and modern design free WordPress Theme. This theme made with Latest Materialize CSS v0.97.6. You can use it for your corporate , personal , blog sites etc.